The Virginia Agrology Collective (VAC) is a 501 c-3 non-profit organization that operates exclusively to pursue the application of science and technology as it relates to Virginia agribusiness. It is the goal of the VAC to research, implement, and continuously improve solutions to empower Virginia micro farms, small farms, and agricultural businesses through collaboration, research, knowledge transfer, and equipment sharing. It is our call to help Virginia farmers thrive, and to boost local economies by building a center for excellence focused on growing and marketing sustainable, boutique Virginia crops. The VAC holds monthly meetings to network, knowledge share, conduct research, and to educate those new to the agribusiness of farming boutique crops. It is our mission to share resources and man hours with established specialty growers, and to help on board interested parties with ease through the initial financial and labor intensive investments. The VAC will be holding several fundraising events in 2017, to acquire a Wolf Hop Harvester, that will benefit and be shared with VAC hops growing members boasting crops of 1+ acres. We look forward to meeting you at one of our meetings, and hope to see you at one of our fundraising events. Grow Green for the Team! "The Old Dominion Hops Co-Op is an organization of hop farmers spanning Virginia, Maryland and North Carolina who work together to share information about hops production, assist each other in planting, stringing and harvesting hops, and support one another in selling hops to local craft breweries." 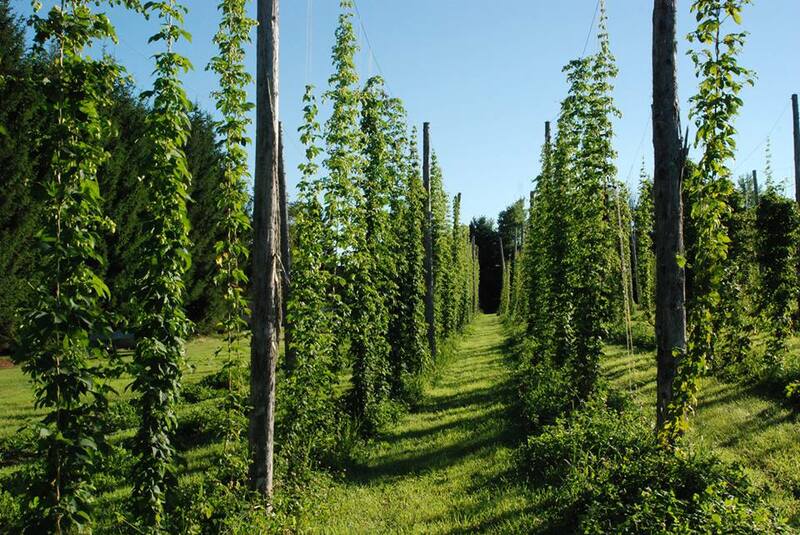 The Farm at Glen Haven, is a premiere outdoor event venue, and is the first farm to successfully build a 1 acre commercial hop yard in Alleghany County, VA. Glen Haven is conveniently located off of I-64, and hosts the majority of VAC meetings and fundraising events. The VAC will be partnering with Green Hops Productions, for their inaugural Halloween party on October 26th, and again for the black tie optional "Brew Year's Eve" event on December 31st. VAC members are encouraged to volunteer for these and future fundraising events. Teamwork, makes the dream work! Please contact us for more information on what volunteer based positions are available.